Welcome to the bloody finale! Who will survive and what will be left of them? 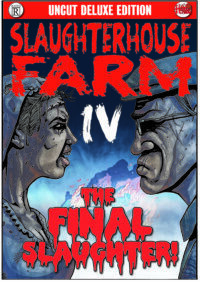 Slaughterhouse Farm returns for an epic conclusion as the grindhouse inspired horror comic reveals some of the twisted secrets behind the demonic Farmer! What is the truth behind the legend of the Bloody Bride! ?